The Nigeria Labour Congress has called for an amendment to the present Income Tax Law so that the new National Minimum Wage of N30,000 will not be taxed. NLC’s General Secretary, Dr. Peter Ozo-Eson, made the call in Abuja in an interview with the News Agency of Nigeria on Wednesday. Ozo-Eson was reacting to a motion submitted by the National Union of Textile Garment and Tailoring Workers of Nigeria at the plenary session of the 12th National Delegates Conference of the NLC. NAN reports that the union had noted that there was a twin assault on the real income of Nigerian workers caused by unrestrained devaluation of naira and high rate of inflation. The union had also expressed concern that the process for the new minimum wage was taking too long, calling on the NLC to discuss strategies and plans for effective implementation of the new minimum wage, particularly at the state level. According to Ozo-Eson, the call has become necessary as the income tax law needs to be amended to protect workers’ purchasing power. ‘‘Ideally, it should not be taxed; but I believe that the correct way to do it is to amend the Income Tax Law in order to raise the exemption bar if the N30,000 will fall within. ‘‘The law should be amended to ensure that the minimum wage level is below the taxable income. Under the present law, if you earn N18,000 a month, your tax is zero. ‘‘There is a tax table, but with N30,000, under the existing exemption guideline, there will be some little tax because it will be slightly above the exemption tax. ‘‘What needs to be done is to have an adjustment to the schedule so that the exemption is placed above the minimum wage,’’ he said. General Secretary, National Union of Textile, Garment and Tailor Workers of Nigeria, Mr. Issa Aremu, stressed the need to put pressure on the Federal Inland Revenue Service to raise the tax bar. Aremu said this should be done in such a way that the N30,000 minimum wage would fall below taxable income. 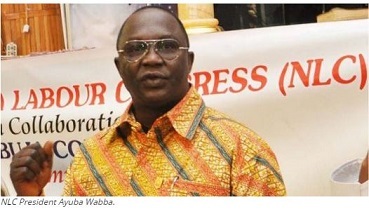 He advocated tax holidays for some categories of Nigerian workers. According to him, ‘‘Now that we have raised the minimum wage to N30,000, we must impress it on the FIRS to raise tax bar so that the new minimum wage will be protected. ‘‘If you tax minimum wage of N30,000, we may as well go back to N25,000 or N27,000 by default. ‘‘The Deputy Speaker of the House of Representatives, Yusuf Lasun, raised the point and I think Labour must push the agenda to protect the new minimum wage. “The N30,000 is actually a compromised amount from N56,000 earlier proposed; so, it must be protected. ‘‘If the Federal Government can give 10 years’ tax holiday to companies, why not give the same to workers? ‘‘Given the collapse of income today, Nigerian workers deserve tax holidays. We are not asking for this because we consider our job as charitable, what workers have in their pockets is what will turn the economy around. ‘‘That is what we will use to purchase goods in the market and pay rent. ‘‘For economic recovery, it is good for workers to have a sustainable purchasing power or disposable income that is off the tax hook,’’ he added.